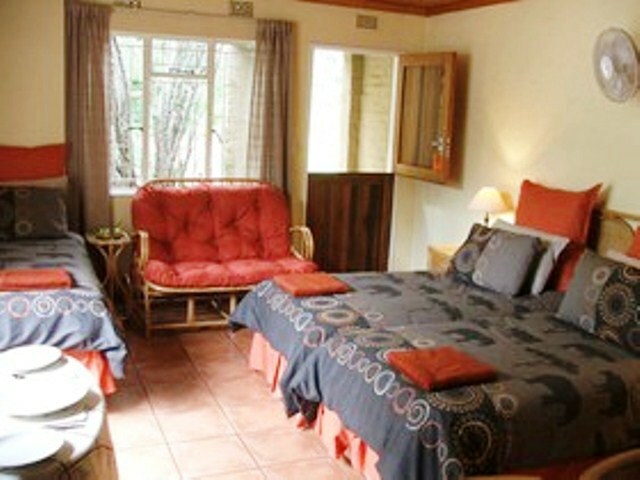 Luilekker is a pet-friendly establishment with Suite 3 especially well-suited to ensuring a happy stay for your pet. Luilekker Guest House and Chalets is situated just off the N4 highway, about 2 km on the Nelspruit side of the historic Waterval-Boven Tunnel, the gateway to the Kruger National Park.<br /><br />We offer five comfortable en-suite bedrooms in our guest house with a choice of twin or double beds and either a bath or a shower. The rooms are housed in spacious rondavels with thick stone walls which have been beautifully renovated and incorporated into the main house. Wake up to the smell of coffee in the percolator in the dining room and lie in until you&apos;re ready to sit down in the dining room for our hearty farm breakfast. Meals may be enjoyed in the guest house if preferred. 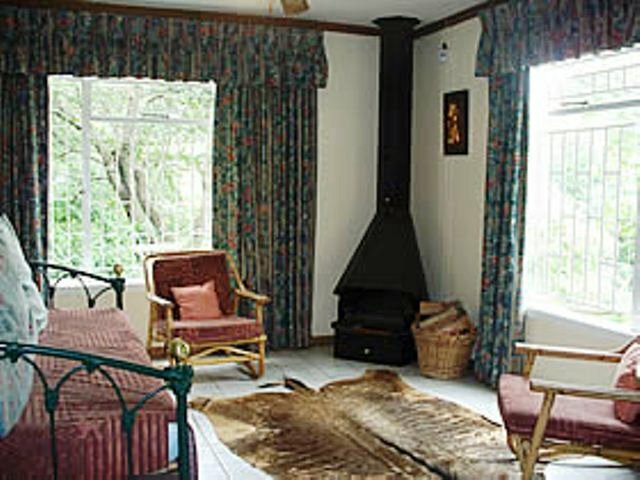 In winter there is a comforting fire in the lounge for a cosy evening.<br /><br />We also have five fully equipped open-plan chalets and a two-bedroom cottage, all with towels and linen provided. There is a small communal swimming pool. All the chalets are equipped with Multichoice/DStv decoders with SABC/E TV card only, however if you want the full DStv bouquet please bring your own decoder. 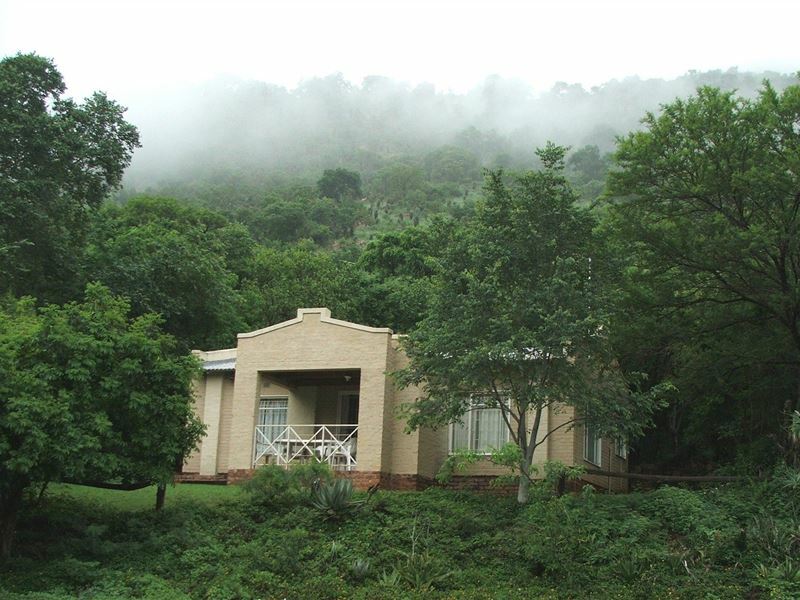 <br /><br />Nestled in a beautiful valley surrounded by breathtaking cliffs and lush bush, makes this a beautiful haven for a stay over en-route to the Kruger or Mozambique. TRAFFIC CAN BE HEARD AT TIMES BUT AS GUESTS SAY IT IS SO BEAUTIFUL WITH THE CLIFFS AND ALL THE SOUND OF BIRDS THAT YOU DONT REALISE THAT YOU ARE CLOSE TO THE N4. Traffic can be heard by times but as guests say it is so beautiful with the cliffs and all the sound of birds that you dont realise that you are close to the N4. For the more energetic, there&apos;s fishing along the Elands River which flows through the property, or a hike up the mountains on the estate. <br /><br />Enjoy bird watching or challenging rock climbs up the cliffs in close proximity to Luilekker. Watch the mist roll in over the mountains while savoring the pristine country air and sipping a glass of pure, fresh water from our very own fountain. "Great place for family or friends vacation, friendly and helpful staff, loved the views, always hot water, safe, fealt at home, fealt welcomed, clean pool, place properly cleaned daily, enough parking, kids friendly and many more, same prices on and off peakwe enjoyed our stay. Thank you for the experience, will definitely be back." "Will overnight any time again"
"Baie rustige plekkie. Omring deur die natuur en sy kalmte. Klowe en dale is deel van die awesome plekkie. Die dametjie wat die Chalets skoonmaak, is borrelend en so n awesome vroutjie. Sy laat jou so lekker lag net met haar laggie en opgewondenheid. Die res van die personeel kan gerus by haar leer. Ek was bietjie teleurgesteld want daar is flyfishing plekkie wat pragtig is, maar dis verwaarloos en kan glad nie naby die pragtige plekkie uit kom nie weens die bosse wat die pad versper en die uitsig. Daar is soveel potensiaal.ByvoorbeeldEk sal n wonderlik stap roete uitle. Die plekkie is pragtig geskik daarvoor. Dit sal die gaste meer bied en die natuurskoon geniet, met so n klein piekniek oopte tussen die staproete deur. Ek sal aanbeveel dat dit slegs as n oornag geklasifiseer word en glad nie langer as 3 dae bly nie. 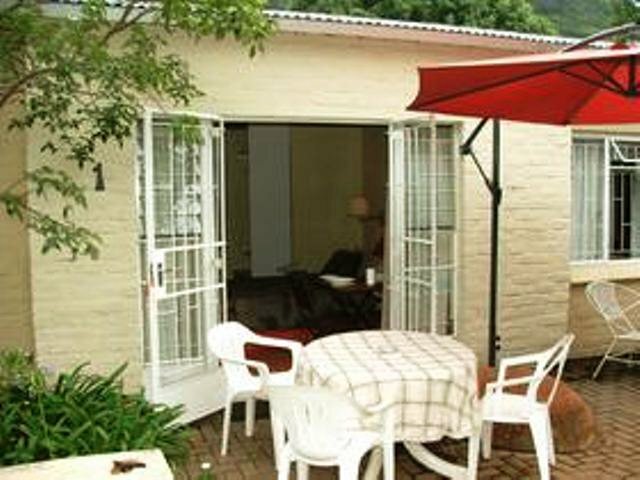 Verder is dit n awesome plekkie"
"Friendly and quiet even with the N4 close by. We had a great stay there and will use this guesthouse again"
"It was a great experience and the owners where helpful mr louw always assisting us with directions even when i left for kzn he took his effort to write down directions for us.im definatety going back there and the most of all my room was upgraded to more than i payed for and the room service is excellent living a room very clean while we were on our tours thanks is so love this place i forgot about the city for 5 days." 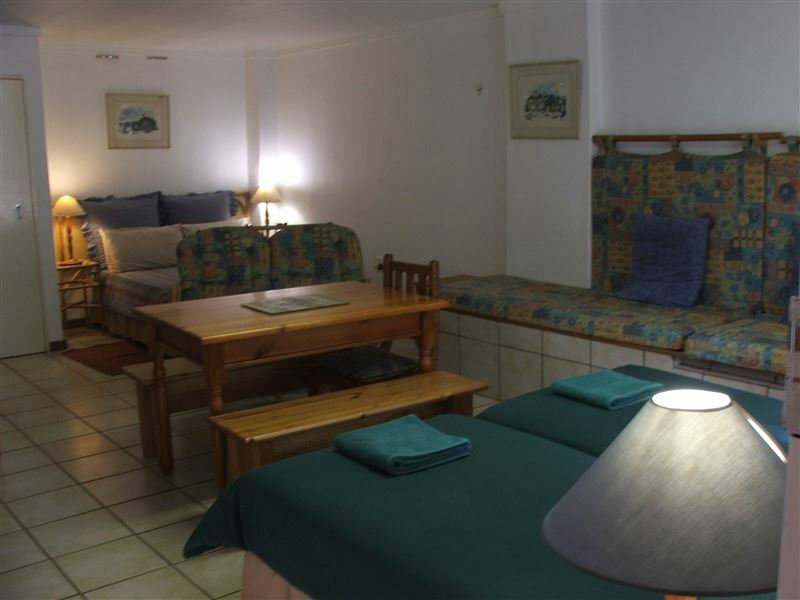 "In the advert for this accommodation it states that the guesthouse is near the N4 and that although traffic can be heard the birdsong will drown it out. Unfortunately the place is built right next to the N4 and I could not sleep at all the first night and only with ear plugs the second night.The owner did move us to another unit which was slightly quieter but the sounds of trucks and air brakes and vehicles passing is constant.There was also an issue with connectivity which the owner also tried to assist us with but we had very little signal and had to go to the main house close to the booster for proper connectivity.The swimming pool was green and we could not swim in it." 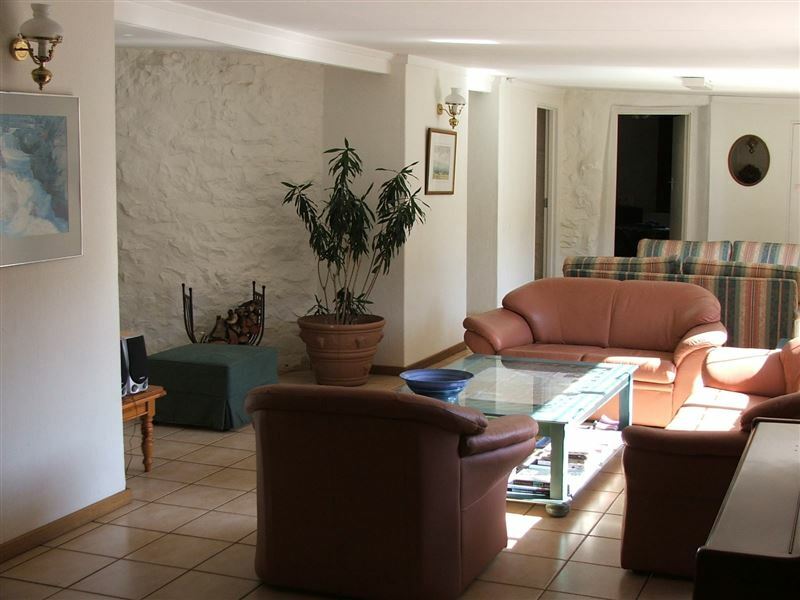 "A lovely neat, clean chalet in beautiful natural surroundings. What a delicious Engish breakfast Louw prepared for us on Sunday morning.Aloes Inn down the road is worth the visit for a scrumptious burger with real potato fries." "Stay during first week of 2016"
"On arrival we were a bit disappointed in the accommodation as we were four adults in one room which was a bit squashed, however after two nights we were able to move into the Cottage which provided much more space and made the remainder of our stay much better. The minimal additional cost was well worth the upgrade into a two bedroomed place with a reasonable size lounge and much better facilities like a larger fridge.The traffic noise from the N4 was a bit loud but in the end was not too bad although the trucks did make rather a lot of noise.Mike Constancon"
"It was very nice and clean.The owners were very hospitable and friendly made our stay welcome. We really enjoyed it"
"We enjoyed our stay,the cottage was very clean and beds comfortable.We really enjoyed our breakfast and dinner and the hosts are very friendly people.The location is beautiful,it is however a pity about the traffic noise but this did not worry us.We will definitely stay there again - great stopover place.Thank you"